What can you expect when you come to a MHDRA Drag Race? Outdoor family entertainment like nothing else in Southern Alberta! The straight 1⁄4 mile drag strip provides a safe and controlled environment for drivers to push their racecars to the limits. Spectators can enjoy watching the races from the stands or at their own tailgate, grab a snack from the concession or an adult beverage from the Nitro Hut. Children under 12 always get in FREE and love playing at the playground. Want to see a racecar up close? Spectators have full access to the driver’s pits where you can check out the cars and talk to the drivers themselves! The MHDRA Drag Strip is a 1⁄4 mile drag racing facility located on Box Springs Road, in Medicine Hat. 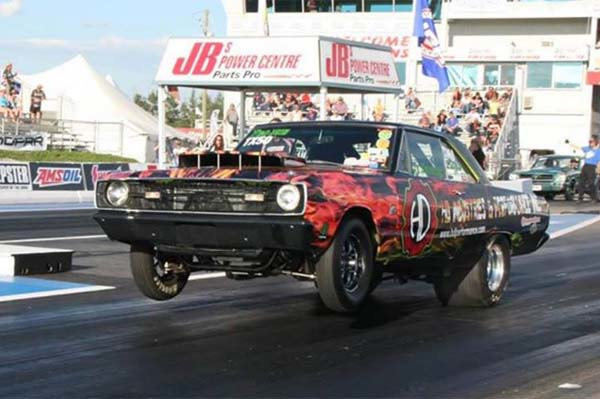 It is the only NHRA sanctioned drag strip in Alberta and provides a safe and controlled facility for all drag racers and auto enthusiasts to enjoy the sport of drag racing. The MHDRA is a member owned and operated track that relies heavily on volunteers and local sponsorship to run its events.